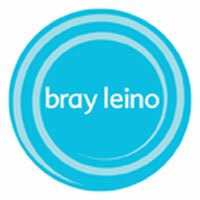 Bristol agency Bray Leino grew its consumer fee income by 14 per cent in 2008, thanks to a string of wins that included West Indies Caribbean Rum, WKD, Innocent Village Fete and Ecover. Under the leadership of MD Roberta Fuke, the agency's campaign highlights also included impressive campaigns for Wrigley's and Ecover. Meanwhile, a comprehensive new staff and business development programme, called Momentum, was launched in 2008 - aimed at ensuring constant evolution and great ideas. Winning the WKD account following a 4-way pitch was a great achievement. Client feedback stated that we won both strategically and creatively and importantly they not only appreciated the obvious work that had gone into the pitch but found the enthusiasm of the entire team completely infectious! Working with top designer Henry Holland to organise a super-cool ‘Get Extra Close' to Henry event featuring the first UK live performance of super model Agyness Deyn's new single with Five O Clock Heroes was a significant activity in 2008. Kelly Osborne performed a guest DJ slot, while a Wrigley's Extra Close Photobooth, Loveshack, Giant Twister and Bucking Bronco all added to the ‘Get Extra Close' theme. Both secured widespread branded coverage across national, international and online media, delivering real impact, supporting sales and ensuring all-important brand street-cred. An undoubted further highlight was the development of an ongoing education programme for journalists and influencers on behalf of Ecover including the organisation of an ethical fashion forum attended by leading fashion writers and ethical fashion manufacturers to review the challenges and issues surrounding ethical fashion, a major influencers and media event to launch an important new partnership with WaterAid and to explain the hidden issues in water management at home and abroad, plus the development of innovative ‘lunch and learn' desk-based online learning sessions for journalists keen to improve their own environmental and ethical business knowledge. As a result, we not only educated and inspired media and influencers (over 500 journalists alone have now taken our online learning sessions) but have also delivered highly educational mass coverage, smashed our targets and helped ensure a very happy client. Combining creative ability with practical common sense, enthusiasm for a project with tenacity to get it delivered, we have been fortunate in boosting the team with a number of exceptional new hires in 2008. Lisa Stanley, Account Director, joined from Lansons, bringing with her strong consumer finance experience to support our work with Bibby Financial Services and The Shaw Trust. Account Managers Caroline Charles and Lyanna Tsakiris bring strong team and client management track records having worked across music, events and drinks sectors and today are working across a range of clients and new business. Alongside an ongoing programme of mentoring, coaching and internal and external training, 2008 saw us launch a new programme of staff and business development - Momentum - designed to ensure constant evolution as well as capturing and acting on great ideas wherever they come from. The Momentum initiative commenced with a major review and refinement of our values in consultation with all staff. Designed to act as a guide for behaviours and actions both internally and externally (Clear, Open, Ingenious, Brave, Astute and Caring), each of the values has an internal ‘champion' to help bring the values to life across the business. ‘Champions' were voted for by their colleagues as being the true embodiment of the values. Each of the values champions made short films about the values which were presented at one of our Away Days. As the initiative gathers momentum, so further champions have been enlisted to each of the values - with the result being a regular flow of brave and ingenious ideas to enhance our business, our environment and our processes - many of which are now being implemented across the business. We have friendly ghosts in one part of our building.